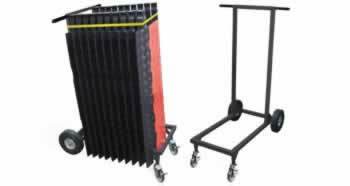 Transport or store your cable protectors easily with this Cable Protector Transport Cart. Great for use with Linebacker, Yellow Jacket, or Guard Dog cable protectors. 16 Gauge 304 Stainless Steel Access Doors have superior strength and design, 8 size options. 4 latch options.